We know not everyone who wants to get involved the campiagn for free, safe and legal abortion is available in the evening. We want to involve as many people as possible. This meeting will show you the structure of ARC, how we do our work and where we need help. Do you want to get involved in the Abortion Rights Campaign and the campaign to #repealthe8th after the March for Choice? 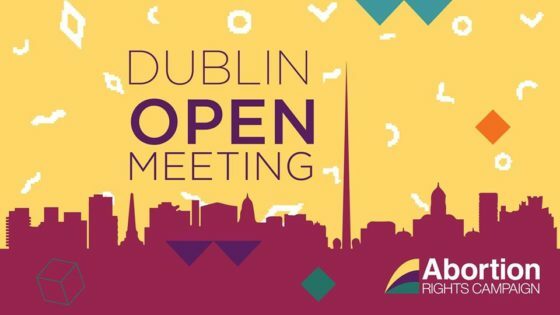 Come along to our Dublin Open Meeting and find out more about the campaign. All welcome, no commitment necessary.